Why Take The Richdales Institute Reflexology Course? When you choose to take your reflexology course through us, you are guaranteed of one thing – the best reflexology qualification available. Join the Complementary & Natural Healthcare Council. To ensure that you get the very best from your learning, you’ll be taught by a different expert for each area of the course. You’ll massively benefit from having the Anatomy & Physiology training integrated into the course. This will help you enormously when it comes to combining your reflexology practical and theory. 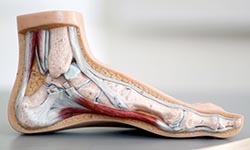 Not all training providers will tell you this, but if you do not have a thorough grounding in Anatomy & Physiology, you will not be able to perform proper reflexology treatment. (A foot massage maybe, but not reflexology!). We go the extra mile to ensure your success goes the extra mile. Our commitment to you doesn’t end when you pass your exams! When you complete your course, you’ll be set up for an exciting future in reflexology. During your course, you’ll learn how to confidently carry out a full reflexology treatment. And you’ll be shown how to incorporate all the classical reflexology techniques so that you can practise professionally, as a solo practitioner or as a member of a team. Whatever you decide to do with your qualification, you’ll have a head start when you take our comprehensive course. You’ll be able to easily ‘read’ feet and hands as well as perform and adapt your treatment techniques to meet the individual needs of your clients. You’ll hold the skills to confidently identify factors that may influence your treatment objectives as well as provide good recommendations to your client. You’ll be able to identify when and how to treat a person holistically, and also when not to treat. You will also learn how to build your professional practise ethically and successfully. Enrol now and you could become our next big success story! We’ve been teaching our reflexology course for over 25 years, so we’ve become pretty sharp as to what kind of structure works for our students! With a 100% pass rate, we have an unbeatable record! The people who take our course (you!) are the most important part of our development. That’s why we really listen to student feedback to ensure the perfect course structure. The course is run over 8 attendance slots over 9 months. This will give you more than enough time to get to grips with the material and competently perform a full professional reflexology treatment. The remaining lessons are around every 5 weeks. Experience has shown us that this is the timeframe that the majority of students thrive in. Your reflexology class is strictly limited to 12 students to ensure you receive the individual attention you need. Enrol today and start your success story. We’re committed to helping you in any way we can. 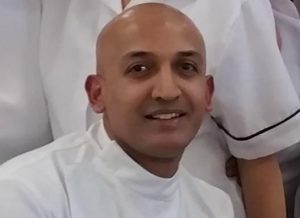 People wanting to become fully qualified Reflexologists and practice professionally in private practice or with the NHS and set up their own practice or work in a multidiscplinary or corporate environment. People with an interest in Reflexology. There are no academic prerequisites for enrolling on our ITEC QCF Diploma in Reflexology. We take students from absolute beginner to professional level. However, you must have fluency in written and spoken English and be a minimum of 18 years of age. The one vital element all our students must possess is the commitment necessary to complete the course. Reflex zones in the feet and hands. How to perform an effective Reflexology treatment. External reading of the feet. Disorders of feet/hands and nails. Cross referral areas of hands and feet. Contra – indications to Reflexology. 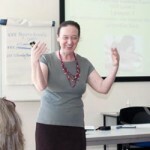 Create, evaluate and review Reflexology treatment programmes. For over 25 years, Richdales has been training professional practitioners from its West London training venues and we know that our approach is highly effective. This is demonstrated by the fact that we have a 100% success rate in the ITEC Practical and ITEC Theory Examination in Reflexology. Tutor very informative. February 2018. You will get a thorough and professional course. February 2018. Very interesting and good skills to have. February 2018. David is an excellent tutor. January 2018. Really interesting teaching, nice group of students to work with. Feel even more interested in the subject now. January 2018. Hands on. Amazing knowledge of tutor. January 2018. Interesting and educational really enjoyed it. November 2017. Friendly people, friendly teacher. November 2017. The tutors are all excellent with a depp understanding of their subject areas. June 2017. I think if you are interested in complementary therapies then it is a good start. June 2017. It is a beautiful course on which you learn many things. June 2017. The teachers are all amazing and have really inspired me. I feel confident about putting what I have learnt into practice. June 2017. 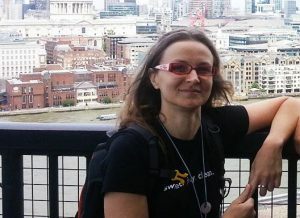 Tutor was approachable and the class atmosphere was relaxed. An exciting course and we got to do practical work on day 1! Happy with the learning methods, teachers and everything. 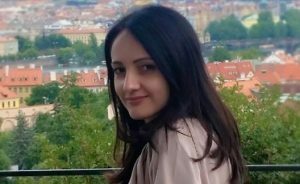 “I enjoyed the practical and the course was interesting. I find the subject completely fascinating and I couldn’t have had a better tutor to introduce me to it. The information provided and knowledge of the teachers and environment presented are quality. High quality info and teaching style. I feel amazing & relaxed even after Day 1. 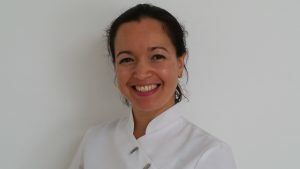 I have studied Reflexology, Holistic Massage and Indian Head Massage with Richdales Institute, and thoroughly enjoyed it! The courses were consistently of a high standard, encompassed a comprehensive range of associated subjects, and more than met the ITEC examination requirements. We’re here to answer any of your questions. You may find the answers you’re looking for below but if you can’t and you still have a few niggling things you’d like to ask, just get in touch and we’ll be happy to help. Will I be able to work as a professional reflexologist after I gain my ITEC Diploma in Reflexology? Certainly! Our Reflexology course will provide you with the qualifications you need to work as a professional reflexologist both in the UK and many places overseas. I am not sure if I want to become a professional reflexologist or if I just want to use my skills to develop a hobby. Can I still take the course? Absolutely! While the majority of our students use their qualification to forge a career, we do also have students who simply want to carry out reflexology as a hobby. Whatever you decide to do with your qualification, you will receive the highest standard of training at Richdales. What qualifications do I need to gain entry to the course? None! Our course is suitable from a beginner level. It doesn’t matter if you’ve just left school or you’ve been out of the learning game for a while – anyone over the age of 18 with an interest in reflexology can successfully complete our Diploma Course. We should point out that as the course is conducted in English, a good understanding of the English language is required. Can I sit in on a class before I join? Of course! We welcome all prospective students to come and watch a real class in progress. Unlike ‘Open Days’ (where things are usually set up in the favour of the training provider), you can arrange to sit in on an actual reflexology class and experience the Richdales’ way of learning exactly as it happens. This will also give you the chance to meet the teachers, chat to some of our current students, take a look at our professional course venues in West London and ask as many questions as you like! You can also arrange a personal appointment (which can take place over the telephone or in person) with our Courses Director to discuss any questions you may have. We are here to help you make the best decisions for you (even if it means telling you that our courses are not right for you). Get in touch with us now and we’ll set you up with an appointment. I am worried that I won’t pass the course. What happens if I fail my exams? It is highly unlikely that you will fail your reflexology course – we have a 100% success rate that goes back over 25 years. We will ensure that you are in every way prepared for your examinations. You can even come in for extra support if necessary. Yes! Our teachers are individually selected not only for their expertise, but for being passionate about teaching and helping their students develop. We use a variety of teachers to deliver the diploma courses so that you benefit from their individual areas of expertise. You will also have one teacher who has overall responsibility for you. It’s up to you how you pay – you can pay by cheque, bank transfer or cash. We also accept credit or debit card payments (and we don’t apply any additional charges!). You will receive a significant discount by paying in one instalment but you can spread the cost of your course fee if it makes it easier for you. We are flexible to meet your needs. After all, being a student shouldn’t be stressful! Our courses start every September, January, February and April. Take a look at our course dates and select the time that’s most convenient for you. 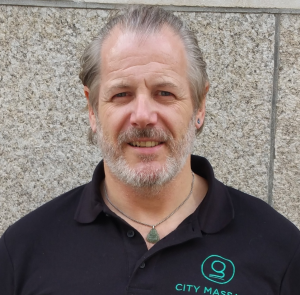 David is overall responsible for the Reflexology students. David teaches the Reflexology modules and will be one of the Institute Examiners. David also teaches the Anatomy, Physiology & Pathology module. Kate is also responsible for the Reflexology students. 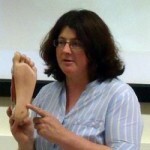 Kate teaches the Reflexology modules and will be one of the Institute Examiners.